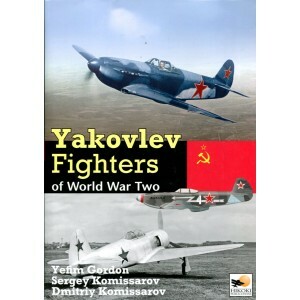 Originally designated I-26, Yakovlev s first simple but rugged fighter, first flew in 1940 and entered production at the end of the year as the Yak-1. This detailed history is richly illustrated with unit badges, nose art, scale drawings, colour side views and three-views. Previously unreleased photos and personal stories from pilots in the Great Patriotic War ensure Yakolev Aircraft of World War II is a detailed reference source for modelers, enthusiasts and historians alike.